Apple Worldwide Developers Conference - The Much Anticipated Release Of Mac OS X "Yosemite"
At the Apple Worldwide Developers Conference, which is going on June 2nd-6th in San Francisco, a whole plethora of new Apple apps and technology advancements are gracing the floor. Among these is the much anticipated Mac OS X “Yosemite”, which is currently only available to developers. The official release date is just a few months away, and a public beta program is scheduled for summer. Public consumer testing of the operating system will allow Apple to work out any bugs and make improvements before officially releasing the Mac OS X “Yosemite” operating system for use. In order to stay in tune with what consumers want from their Mac OS systems, Apple has totally redesigned the look and feel of their Mac OS X. Yosemite comes complete with a fresh new look, increased visual depth and clarity, cleaner icons, and a more streamlined, professional feel. Mac OS X Yosemite also now comes with a notification center, allowing you to view your calendar, check out weather, and more. There are also custom widgets you can install to the desktop for a level of customization we haven’t ever seen before in a Mac OS. In addition to the above improvements, the Mac OS X Yosemite includes iCloud Drive features, helping you to sync your files with the cloud and maintain a higher level of business productivity. With MailDrop, which is supported through Yosemite, you can now send files of up to 5 GB in size without having to worry about file size restrictions. Mail attachment size restrictions are now a thing of the past thanks to OS X Yosemite. And there’s more! The popular Apple web browser Safari comes pre-installed and ready to browse the web. The tabbed browsing makes multi-tasking on the web easier than ever. 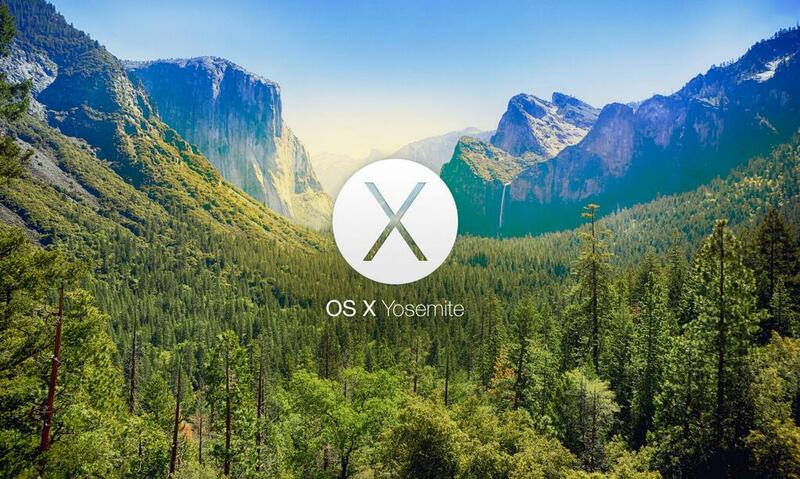 With developers working around the clock to improve Mac OS X Yosemite, there’s no stopping it. Very soon, there will be a public beta test of Yosemite that everyone can participate in, helping to narrow down any potential bottlenecks, bugs, and glitches in the functionality of the system. Getting onboard with the beta test can help you to decide if you want to purchase it when it’s released or not. Everyone knows that having a PC is the mainstream way to do business. However, don’t count Apple out of the running so quickly. They’ve actually made strong headway in the fight to stay competitive with PC manufacturers. Sure, Apple OS X isn’t as popular as Windows and probably never will be, but over the next 15-20 years, things for Apple will be looking more bright and vibrant than ever before. Especially taking into consideration the release of the new MacBook Air Retina, Apple is on top of their game and then some.